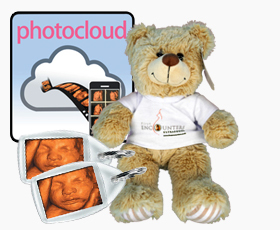 From heartbeat bears to photo keyrings, we offer a great range of ultrasound gifts, all of which can be purchased in addition to your chosen scan package. Simply add your chosen souvenirs at the Optional Gifts & Souvenirs section of the online booking screen, or ask our customer service representative when booking by telephone. Additional souvenirs may be added to your scan package at any time, up to and including the day of your scan. Simply contact our customer service team or order with our representative at the clinic on the day. For your convenience, you can choose to pay for your souvenirs in advance or at your appointment. See below for details of our unique baby scan gifts – any gifts you select will be prepared for you to take home at the end of your scan! Get all of our most popular baby scan gifts at a special discounted price! Teddy Bundle includes 1 x Heartbeat Bear (or other 10” soft teddy of your choice), 2 x photo key rings, and a month’s access to photocloud™. Receive all the photographic images (JPEGs) captured during your scan on a 1GB USB flash drive, combined with a copy of your scan video* in an easy-to-share MP4 format (*depending on your package). Your baby’s heartbeat recorded into your choice of adorable stuffed teddy bears – the original and still our most popular baby scan gift! 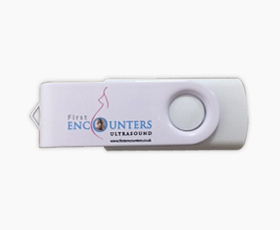 Take home a branded disc containing all the photographic images (JPEGs) captured during your scan, combined with a copy of your scan video* in an easy-to-share MP4 format (*depending on your package). 1 month of unlimited online access to your scan images. 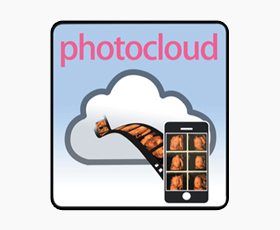 Allows you to view, print, download, and share your cherished images instantly with family and friends. 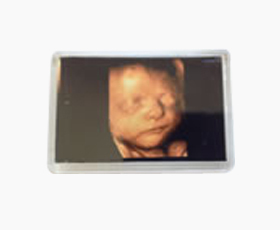 Your favourite scan image displayed in a 2" x 3" magnetic photo frame for the whole family to admire. 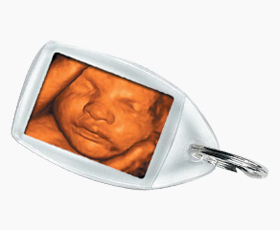 Your favourite scan image captured within a personal key ring. Show your baby’s photo to everyone you meet! Also makes a great gift for the family. 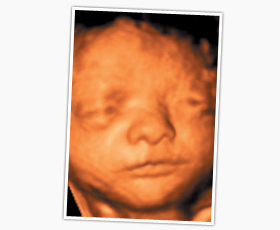 Black and white or 3D colour prints of the images captured during your scan. These professional 6” x 4” glossy photographs make a lovely treat for family and friends. 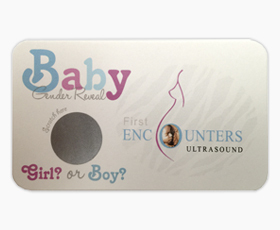 Announce your baby’s gender with a personalised gender reveal scratch card. Buy it and let your family and friends see if they have guessed correctly! 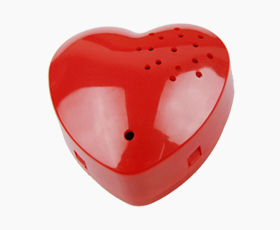 Your baby's heartbeat recorded on a heart-shaped sound module, creating a unique memorable keepsake. 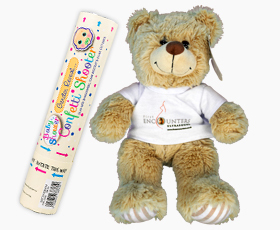 Get your Heartbeat Bear (or another 10” soft teddy of your choice) and Confetti Shooter together at a discounted rate. Perfect for gender reveal parties! 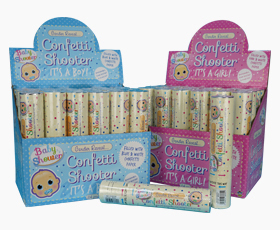 Pink or blue confetti shooters available. 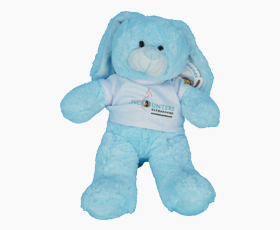 This cute blue bunny plays a recording of your baby’s heartbeat! 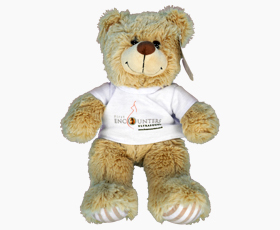 A sweet alternative to the classic Heartbeat Bear. 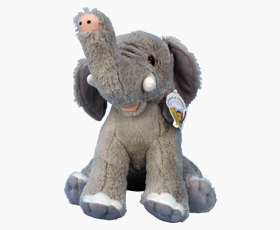 A cute and cuddly keepsake – this 16” soft teddy features your baby’s heartbeat, as recorded during your First Encounters scan! 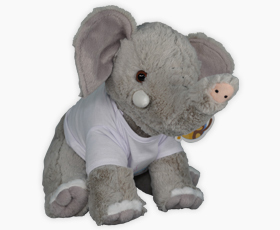 This lovable alternative to our best-selling teddy bear plays the sound of your baby’s heartbeat. A lovely gift that you’ll cherish for years. 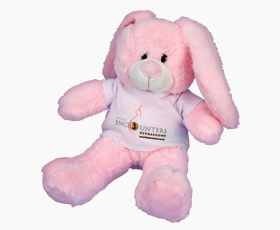 Your baby’s heartbeat recorded into a pink stuffed bunny! This soft teddy is an adorable alternative to the original Heartbeat Bear.